You saw the headline, right up there? Up top? The one involving Jeremy Clarkson, Richard Hammond, and non- Top Gear? And you’re still clicking through? Good, then we’re all on the same page. Because there’s plenty of things to drudge through in the world of non-Top Gear, starting with the Ape and the Hamster. “The thing” that Clarkson is referring to, is, of course, the time a doctor told him he probably had cancer. 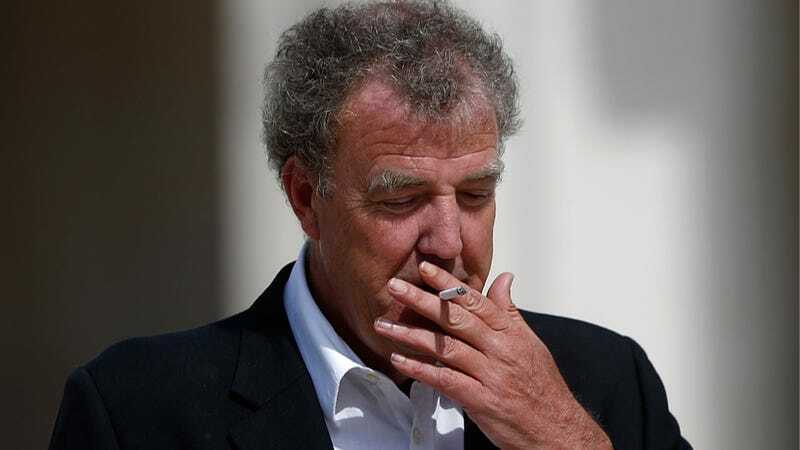 It turns out that the lump attached to the tongue belonging to the notoriously hard-drinking and hard-smoking television presenter wasn’t actually cancer, though it probably wasn’t helping on the day Top Gear came tumbling down. If that seems a bit maudlin and melodramatic, it actually isn’t exaggerated. Clarkson’s been hosting car shows for the BBC in some form or another since 1988, which is longer than much of his audience has been alive. Taking your one major career path away from you, after nearly 27 years, must be gut wrenching. It’s so bad, in fact, that Clarkson says the only good thing he’s got going for him in life right now is that his son is living with him. Which really does make you feel bad for the guy, even if he did bring it on himself. Which is great, because holy crap does he and his co-hosts need new jobs. Especially his co-hosts. James May has continued with his cooking videos, and at least those serve an educational purpose. But Richard Hammond is so bored, he’s unleashed his boredom upon the world. And it’s sole purpose seems to be to induce the same sort of boredom in its audience. Someone get these people jobs. For everyone else’s sake.